Making art is a jagged uneven timeline of self-understanding. The studio is a ‘you are here’ sign that holds our history, and part of that history is our parents. We can’t avoid it. My mom is in her 80s now. In many ways, she couldn’t be more different from me. Politically and spiritually we are on opposite ends of the spectrum. Thankfully, we have enough mutual respect to leave that at the door, find the threads that connect us and go from there. I can’t change her mind, she can’ t change mine. That much we know. So we just don’t talk about it. I recently found myself alone in my mom’s apartment a lot while she was in a rehab facility after knee replacement surgery. On the wall next to her bed In her small one bedroom, she hung this group of pictures of herself over the years. Every few days I’d go to her house to water her plants or pick up something and I’d sit on the side of her bed looking at these pictures, some from before I came into her life. The way they’re placed reminds me the wall in my studio that is a catch all for ideas, the one that says “you are here”. My studio is in the 1960s add-on den in the back of our our 1926 house. 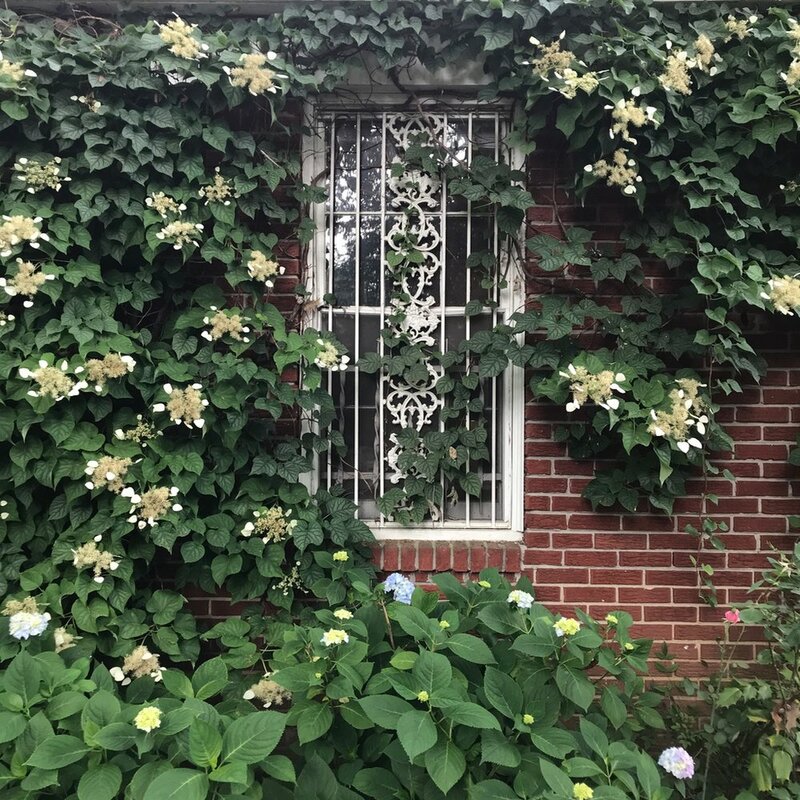 I live here with my husband and two dogs. Right outside the studio door there’s a covered carport I work under when it’s nice out. We also park our cars there so for 14 years every time I walk into my home, I walk into my studio. I have a few brown paper accordion file folders that live inside a studio cabinet. They’re catchalls for the detritus that can’t find a home anywhere else – random drawings, crap I find on the street, the miscellaneous photograph, a wallpaper sample, magazine tear sheets, physical remnants to be flipped through and added to. In 2010 I started a studio blog and named it after this perfect pouch. Writing about how and why I do what I do in my studio doesn’t come easily, which is why I wanted a place where I could piece together ideas and trains of thought. I learned a lot about my process on the original Accordion File. Only a few people read it, mostly friends, so it felt like something between a studio visit and correspondence. Pulling back the curtain to my studio in a more long form intimate way eventually petered out as the cocktail party of social media won my attention. It’s fun, the scroll, sure, but I can’t focus enough to actually write there. 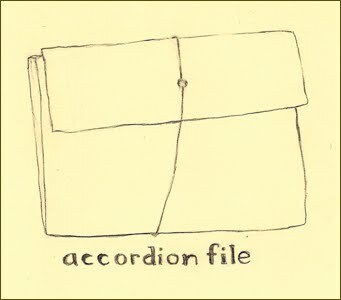 So here, on this brand new version of my website, I’m resurrecting Accordion File. Check out the first one here.